I met Caitlin, Clint and Gene, executives from Simply Organic, last month at the expo. We all know about their amazing organic spices and mixes, or at least I hope you do! But at the expo, I was introduced to their line of coffee spice blends. Coffee has always been a very important part of my morning routine. This last year, I realized that the coffee and really what I was putting in my coffee was not supporting me in my overall health goals. So I have been on a mission to re-create my morning coffee starting by choosing the highest quality coffee and finding the perfect sweetener and flavors to create my perfect cup. 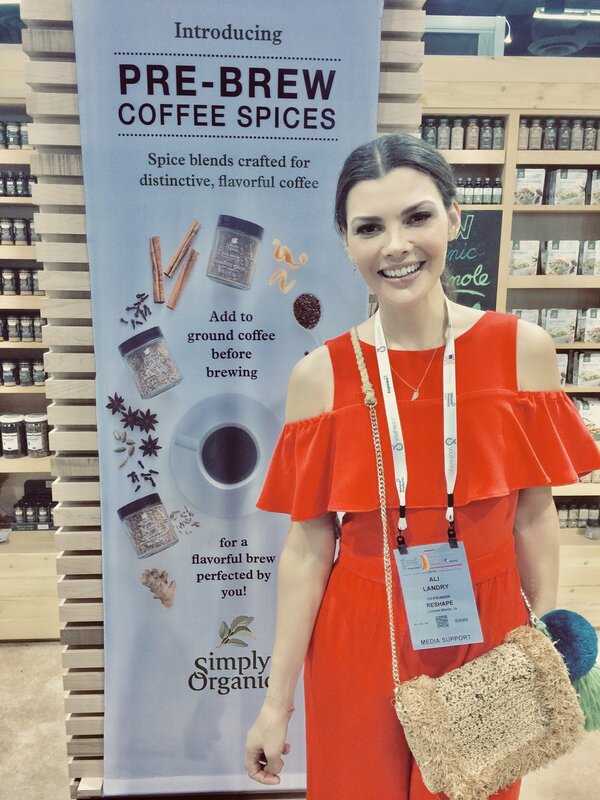 I am so excited to learn about the coffee spice blends from Simply Organic.